A Whale of a Tale! 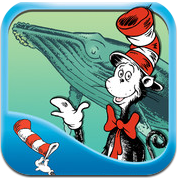 : All About Porpoises, Dolphins, and Whales is another Oceanhouse Media Cat in the Hat Learning Library app. 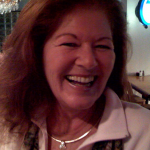 In their usual style the story has highlighted and spoken words and objects when tapped. This is a great way to promote early reading and increase kids vocabulary! The app is loaded with fantastic graphics and interaction that is sure to keep kids of all ages coming back! We learned new things about sea life as well! Off to the sea to explore aquatic mammals and cetaceans with The Cat in the Hat! Kids learn the differences between aquatic mammals and cetaceans is a rhyming and colorful way. There is a dolphin fact test to check what is learned. Strange Things In the Ocean!